Can you sell your tree for lumber and make a profit? Lumber from trees such as red or white oak, black walnut, paulownia, and black cherry is quite expensive, and the tree in your yard may contain an impressive quantity of wood. While it is possible to sell one (or several) trees for lumber, research and effort are required to get a good price from a reputable buyer. Before making the move, think through the pros and cons. Do You Really Want to Remove Your Tree? Before seeking a buyer for your tree, be sure you know why you're removing a valuable hardwood tree from your yard. Are its roots damaging your foundation? Is the foliage overwhelming your home? Or are you just eager to have a bit more lawn? If there's no solid reason to remove the tree, its value may be greater in your yard than at a sawmill. A large hardwood tree provides shade, which cools your home and lowers air conditioning costs. It also improves air quality, controls water runoff, and raises your property value. In addition, your tree may provide homes to songbirds and other native animals. It is generally much easier to sell trees as part of a woodlot harvest, where many trees are sold and harvested at the same time. To cut down your tree, a timber buyer must bring in laborers, a log truck, skidder, loader, and other equipment. He must then cut the logs and haul them to the mill to sell. After expenses, it's unlikely that he'll make any money from cutting a single tree unless it's extraordinarily valuable. If you're determined to sell your tree, your best option might be to look for an operator who owns a small, portable sawmill. Small operators have less overhead, and they make their money finding single living or dead high-value trees, then sawing the lumber to specifications that are attractive to woodworkers and turners. Selling timber requires expert advice. Studies show that timber sellers using a professional forester get up to 50 percent more per sale. A forester who sells trees for a living and practices within your sale area will be your best partner; he will know timber product grades and values and be familiar with local timber buyers and the general market. Private foresters usually offer their services for a fee. Timber owners often find this expense more than offset by the higher selling price received for their timber. Find a forester and listen to him as you would to a doctor or lawyer. You and the forester will ultimately have to determine which trees should be cut and how they should be harvested. Your partner will also help you to estimate your trees' volumes and value. "contact your service or County Agricultural Extension or Forestry Extension agent. Service forestry personnel are often located within the state Department of Natural Resources, Division of Forestry, or Forestry Commission. Extension Forestry personnel are typically located at your local Land-Grant university in the Forestry Department. 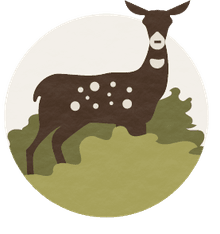 Alternatively, you can visit the website of the Cooperative State Research, Education, and Extension Service, which contains links to every state's free services, often including forestry assistance by professional foresters." The type of timber forest products you're growing: Different prices are paid for different timber products. The timber species you have for sale: Some species command higher prices than others due to high demand, low supply, or special qualities. 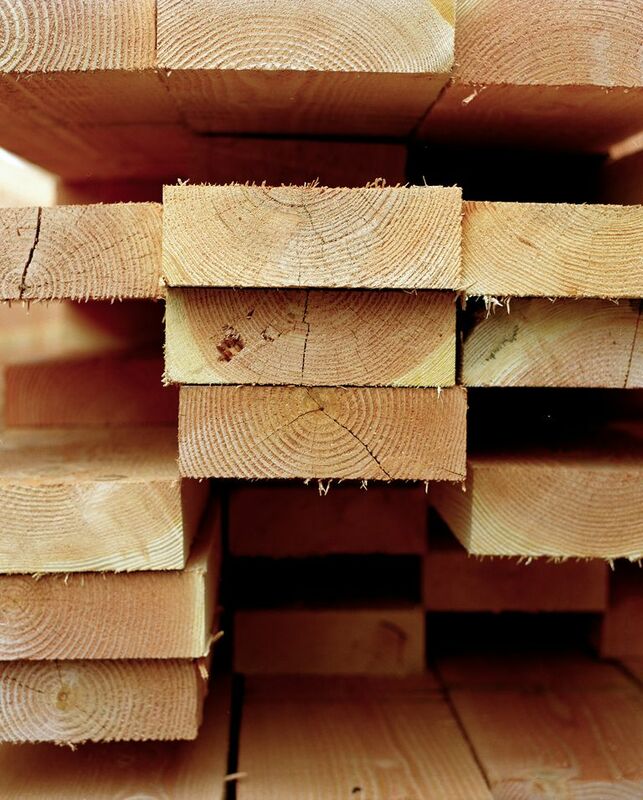 The quality of your timber: Quality affects timber values as it does any other product. The volume of timber you can sell: Logging requires heavy equipment and employees, so larger volumes of timber translate to higher profit margins. The distance from the closest market: Transportation of forest products is expensive. Local mills should be able to pay higher prices for your products than more distant mills. The size of your trees: Generally, larger trees bring the best prices. Large saw logs and poles are worth more than small ones. You should now identify prospective buyers. Your forester partner most likely will have a list that he works from. You might also want to prepare a list of buyers in the county of sale as well as in surrounding counties. Call your state forester's office or state forestry association for a list of buyers. The potential buyer will probably insist on examining the timber for sale before making an offer. A tour or "show-me" meeting on the timber site allows all interested buyers to check the volume and quality of the timber and to estimate their logging costs. They should also be allowed to inspect and keep a copy of the contract or agreement you attach to the sale. After all bids are received, you and your forester partner should notify the highest acceptable bidder and arrange to execute a written timber contract. Any deposit or performance bond agreed upon should be collected. Copies of the contract should be prepared for buyer and seller. Special provisions may include cutting extensions; the location of log landings, roads, and skid trails; conditions under which logging won't be permitted; protection of residual timber and other property; a procedure for settling disputes; responsibility for wildfire suppression; disposal of litter; subcontracting of parts of the work; erosion and water quality control measures; and contractor liability exclusions. An easy way for a do-it-yourselfer to quickly get into trouble is selling timber using "lump sum" value with only a handshake and without a tree inventory. Don't sell lump sum without a timber inventory, a contract, and a down payment. Another way to get into big trouble is selling your timber on a "pay-as-cut" basis while letting the buyer grade and measure logs without you or a representative inspecting his work. Pay-as-cut allows the buyer to pay you by the log load, so you or your forester partner will need to verify the amount of timber in each load. To make sure terms of the timber sale contract are being met, either you or your agent should inspect the operation several times during the harvest and upon completion. Timing is important in getting the best price for wood. The best time to sell, obviously, is when demand for timber is up and prices are at a peak. This is easier said than done, but you should be aware of current stumpage prices and market conditions in your area. Your forester partner can help you to time your sale correctly. With the exception of a specific disaster (from pests, weather, or fire), you shouldn't be rushed into a sale. Trees, unlike other farm products, can be stored on the stump during poor markets. One constant that history always confirms is that timber values eventually go up. Steps should be taken immediately after harvest to protect the land from erosion and to ensure the productivity of this future forest. Roads, skid trails, and logging decks should be secured and reshaped if necessary. Bare areas should be seeded with grass to prevent erosion and provide food for wildlife. What is a Timber Rotation Period?